Let me start this post with a few questions. Have you ever reported a corruption offence you encountered? If not, what prevented you from doing so? Would you report bribery if you could get a monetary reward for it? Say, something between $100k and few millions? I believe that the core of an efficient fight against corruption is in implementing the system of right incentives for public officials, businessmen, doctors, parents, etc. In this framework, I want to stress the importance of motivating whistleblowers – individuals who report on alleged corruption or “blowing the whistle". Further, I will discuss whistleblowing provisions that were introduced to the Ukrainian legislation, as well as foreign experience in this field. Let's first turn to the Ukrainian legislation. 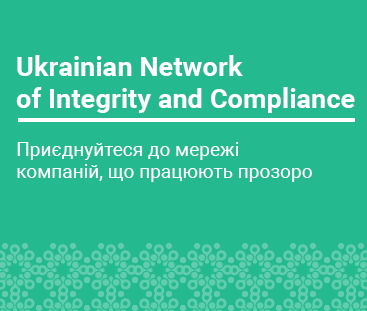 Chapter VIII (in Ukrainian only) of the Law “On Prevention of Corruption” (the Law) introduced the institute of an informant or a whistleblower (“vykryvach” in Ukrainian). It stipulates that the identity of the whistleblower and of his/her family should remain anonymous. Their life, health and property shall be protected by the state. Further, no retaliation measures should be applied against individuals as a result of whistleblowing. Other legislative changes transfer the burden of proof from the employee to the employer in court cases related to retaliation or firing the employee who reported corruption offence. These provisions are pivotal for protection of whistleblowers. At the same time, the Law does not offer any incentives for individuals to act. It is implied that a person will report due to his/her good will and high moral standards. The informant does not get much in return for being exposed to the danger of payback by an angry employer. The only possible premium for the risk is an internal bounty system that might be used by some corporations. And what about other countries, how do they cope with balancing risks and rewards for whistleblowers? Let's have a look. Facilitating whistleblowers is getting popular in Europe. For instance, an independent administrative body called “Institute for Whistleblowers” was created in the Netherlands in March 2016. However, according to the new legislation, employees are allowed to report to the Institute for Whistleblowers only if they reported internally first. Employers, in their turn, should give the opportunity to report a suspected misconduct inside the company. At the same time, according to the report from Transparency International, none of European countries has successfully practiced monetary incentives to stimulate whistleblowing. With regards to rewards, the US is a vigorous example, where in 2010 the government started the Dodd-Frank Whistleblower Program (the Program). The Program suggests very generous benefits to whistleblowers in addition to effective retaliation protection. So let's have a look at the Program in more detail. The SEC’s “Office of the Whistleblower” shall pay awards to whistleblowers who voluntarily provided the SEC with original information that leads to successful enforcement yielding sanctions of over $1 million. The award amount is between 10 percent and 30 percent of the total monetary sanctions collected. Another interesting aspect to note is that individuals with compliance or internal audit responsibilities can qualify for award only after reporting internally. The Program seeks tips on violation of FCPA and alleged illicit activities regarding securities. The number of tips from whistleblowers has been growing from year to year. According to SEC’s report, in 2014 SEC received 3,620 tips from individuals from all over the world. Most of them are from the US, though. Moreover, last year SEC paid the largest ever award of about $30 million to the whistleblower. As we can see, Europe stresses the importance of internal reporting while the US rather uses the solid monetary incentive program for informants to get the information out of the organization. In my opinion, both approaches propel transparency and help to deter bribery. However, as the latest practice shows, the US has much better enforcement record. Ukraine, in its turn, made a big step forward by introducing protection to informants. At the same time, there is still room for improvement. The next crucial step, from my point of view, is developing a law to create the system of proper motivation for public and private sectors. This may have a huge practical effect on prevention of corruption in Ukraine and benefit both the country's budget and pockets of law-abiding citizens. P.S. Here is the link to the SEC’s official page where you can read more about the Program and rewards.